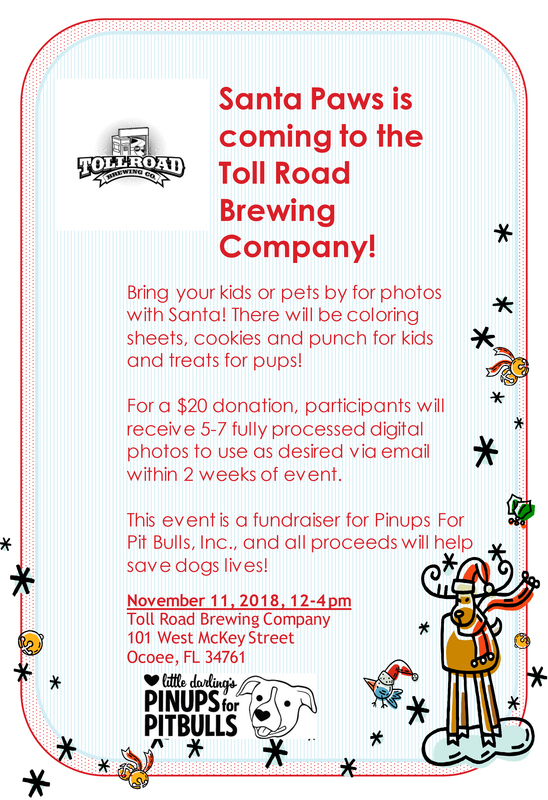 Santa Paws Photo Shoot at Toll Road Brewing Co.
Bring your kids and pups for photos with Santa! There will be coloring sheets, cookies and punch for the kiddos, and treats for your pups! For a $20 donation, participants will receive 5-7 fully processed digital images to use as desired via email within 2 weeks of event. This event is a fundraiser for Pinups For Pit Bulls, Inc., all proceeds will help save dogs’ lives!